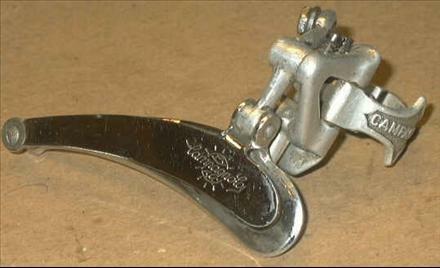 Campagnolo Nuovo Record derailleur version from the early 70's. No lip, no drilling of cage, no C-clip and no cable stop. Often paired with the Campagnolo Nuovo Record crankset with 52/42 rings or similar.